This therapeutic symphony of constituents focuses primarily on cleansing and balancing the integumentary system (skin), and influencing the female reproductive system. The complimentary side effect this blend is emotional balance, soothed muscles throughout the body, and the relief of stress and chronic worries which also assists in providing quality sleep. Lightly massage a few drops of Bliss™ on the back of your neck lower back, and/or temples for relaxation. Many of our customers also enjoy a drop or two as a part of their favorite spring or summer beverage. If using for skin detox you may want to consider Bliss™ Bath Salt. 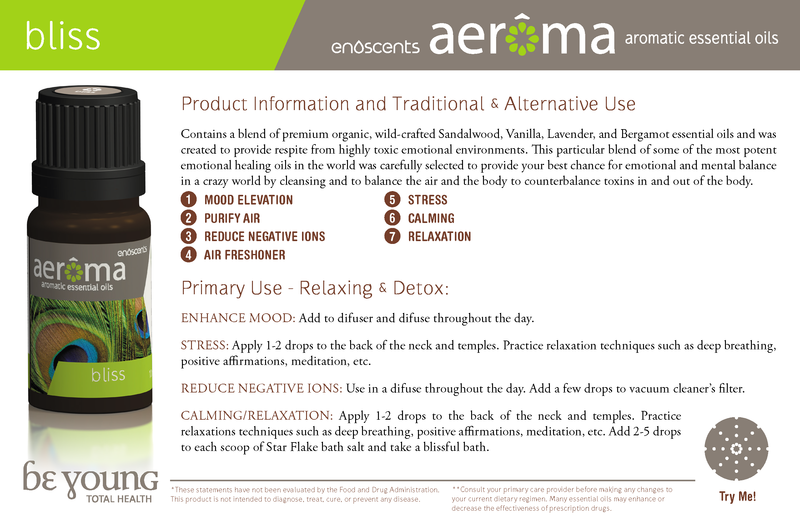 After a confrontation Bliss™ blend provides a stong soothing action.